Great for nurses at work. 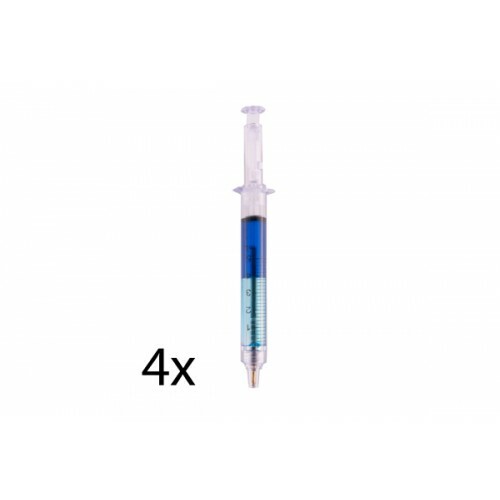 This is a pen with blue ink that looks just like a liquid filled syringe! Its a ball point pen that is able to be retracted. 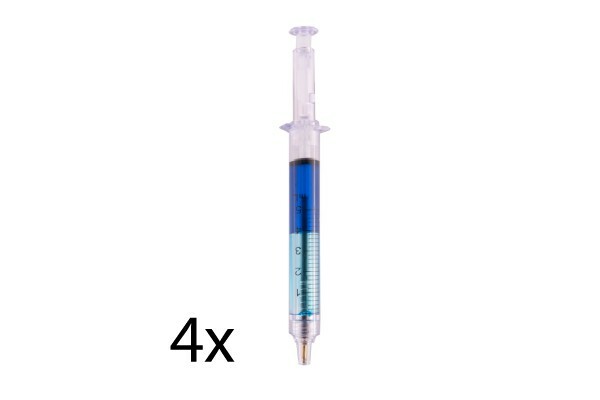 Great gift idea for colleagues and those with syringe phobias! 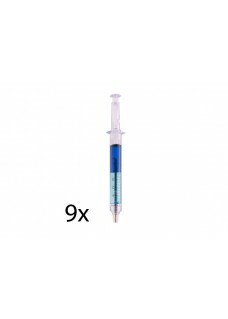 Note: This are blank syringe pens with no business logo or advertiment text.